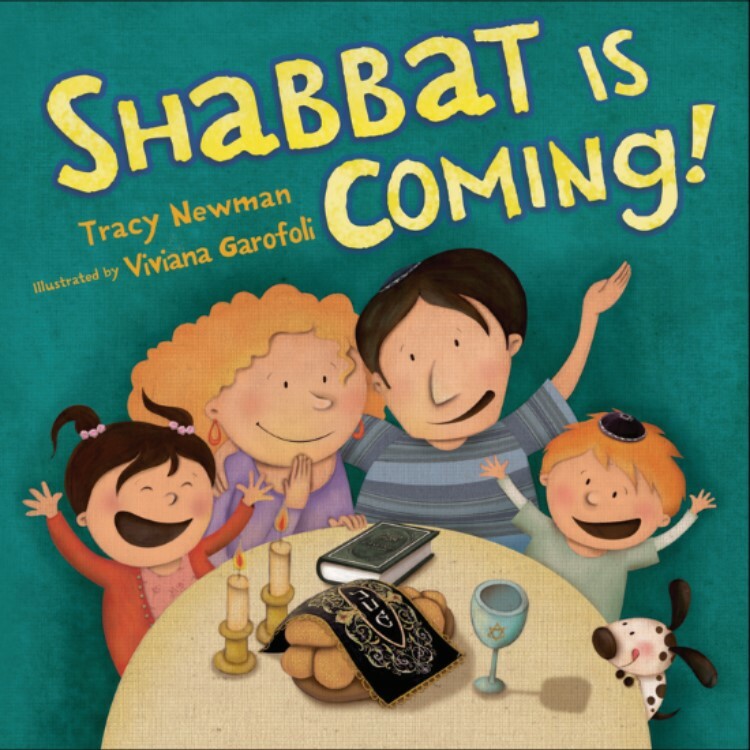 Author’s Notebook | Tracy Newman, Shabbat Is Coming! I ran into Tracy Newman at the May 2014 Jewish Book Council’s Author Network in New York City. We spoke about her new book, Shabbat Is Coming! (Kar-Ben, 2014), and some other topics. The Whole Megillah (TWM): What inspired you to write Jewish holiday stories? Tracy Newman (TN): I believe that young children are extremely receptive to and delight in lively and accessible books that introduce them to Jewish holidays and customs. Hopefully the “… Is Coming” books will provide young kids with interesting, vivid and meaningful ways to become familiar with, excited about and engaged in the holidays. TWM: How did the series come about? TN: Several years ago, Chris Barash, Chair of The PJ Library’s Book Selection Committee, spoke at the Jewish Book Council’s Jewish Children’s Book Writers and Illustrators Seminar. Chris gave a wonderful presentation explaining the purpose and focus of The PJ Library and encouraged authors to write high quality Jewish stories that kids would like to read over and over. Chris’s warmth and enthusiasm as well as her desire to promote Jewish children’s books inspired me tremendously. TWM: What’s it like to work with an agent on picture books? How did you get your agent? TN: I began working with my agent, Laura Biagi of the Jean V. Naggar Literary Agency, this past winter. Laura and I had met several months before at a writer’s conference in New Jersey. Working with Laura is an extremely helpful way to receive expert feedback, guidance on possible markets and the occasional, and very necessary, pep talk. TWM: What books did you enjoy reading growing up? TN: I loved reading all sorts of books growing up, from Beverly Cleary to Judy Blume to Sydney Taylor. I think book series may have been my favorite things to read because once I fell in love with a book, I could quickly find other related titles to devour. TN: I am inspired by so many amazing children’s books that it’s hard to know where to begin! Some things that I particularly admire are authors who make rhyming seem easy, like Karma Wilson and Corey Rosen Schwartz, those who are side-splittingly funny, such as Mo Willems, and those who write both moving and humorous Jewish and non-Jewish stories, such as Laurel Snyder. Specific books that I aspire to somehow emulate are Hershel and Hanukkah Goblins (by Eric Kimmel), which we read year-round in my home. A book that touches me every time I read it is Bagels from Benny (by Aubrey Davis). My kids and I love being transported to Israel when we read Chicken Man (by Michelle Edwards), and learning from biographies such as Emma’s Poem, The Voice of the Statue of Liberty (by Linda Glaser) and also reading books with Yiddish, like Beautiful Yetta: The Yiddish Chicken (by Daniel Pinkwater). I also have a soft spot for any books that contain cats (like Snow in Jerusalem by Deborah da Costa and The Cats on Ben Yehuda Street by Ann Redisch Stampler). But I’m sure I’m still forgetting a million more. TWM: Please describe how you came to be a writer. Was there a defining moment? What do you write? TN: I have always written, even if I’m not sure how I came to be a writer. I have always loved words, learning new languages and recording my thoughts, ideas and stories onto paper. There is no one defining moment that I can point to, only many small but critical moments along the way. For me, the hardest thing has been continuing to write with the hopes of being published when I was not yet published, but finding a supportive critique group, having my family’s encouragement and finding a tireless mentor have all made the process possible. 5 Responses to Author’s Notebook | Tracy Newman, Shabbat Is Coming! Barb, you always produce such stimulating interviews! Great interview, as usual. I will definitely be checking out Shabbat is Coming! Thanks for this post. Mazel tov, Tracy. I look forward to reading your book.